For Immediate Release: Posted On 7/31/2018 By Industrial Magnetics, Inc.
Industrial Magnetics Inc. now offers a magnetic separation pulley and conveyor system for the automated separation of weakly-magnetic stainless steel from a waste stream, eliminating the need to recover this work-hardened material by hand. 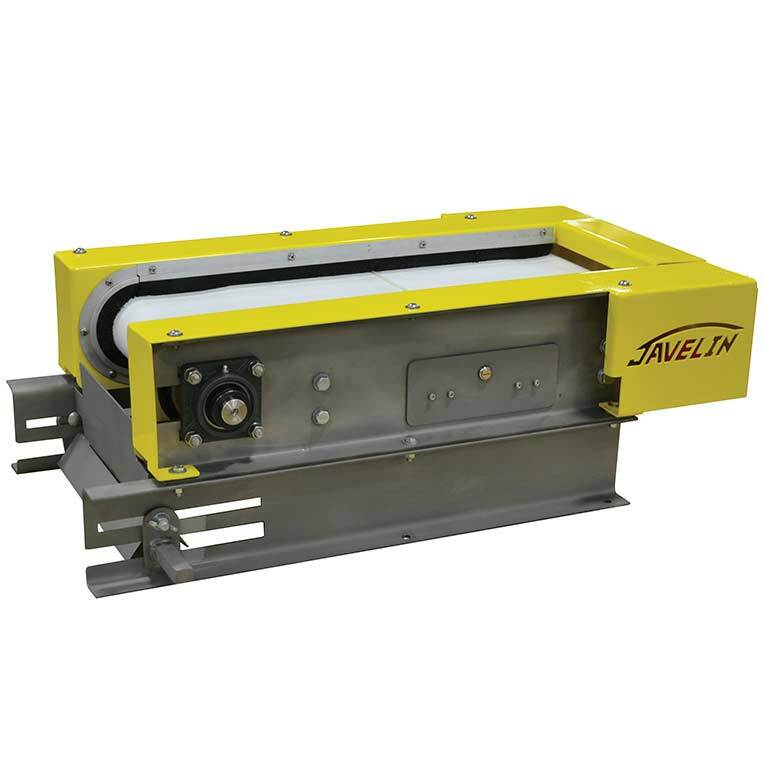 The Javelin™ Magnetic Stainless Separation Conveyor and the Magnetic Stainless Separation Pulley magnet are designed to attract and hold low grade, weakly magnetic stainless-steel scrap in applications such as electronic scrap, wire chopping lines, and auto shredder residue. Offered as an all-in-one conveyor unit, or as a stand-alone head pulley that can be integrated into existing conveyor systems, the units are available in several standard strength and width configurations ranging from 36” – 80”. Custom strengths and widths are also available to fit the unique needs of an application.